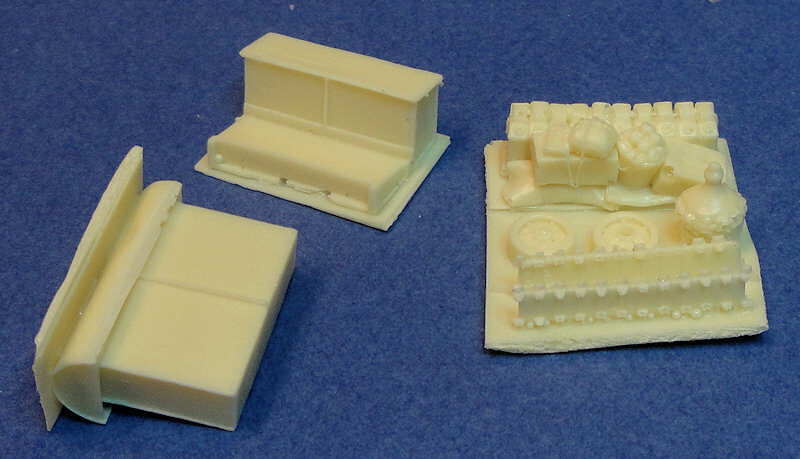 This set includes some stowage items for the Sherman hull, as well as deep wading trunks. Why is this set specific to Italy? Well, because of that giant jug of Chianti, that's why. OK, maybe not. Actually, it's because the style of wading trunks included in this set were specific to Operation Husky, the invasion of Sicily. It is a unique design, different than that seen in Normandy or Southern France (not sure about the Pacific - my next project is going to be a comparison page of Sherman wading stacks). The stowage items include a rack of gas cans, some spare wheels and track segments, and some crates of food and the aforementioned vino. The sculpting of the kit parts was excellent, the trunks look authentic, and the detail on the stowage items is very nice. 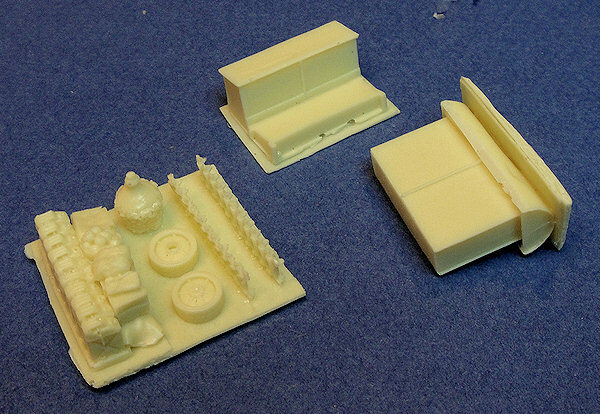 But the resin casting wasn't quite as well done as the sculpting. Using open-top molds without a vacuum chamber results in several air bubbles in the resin. Most of them can be easily fixed, but the tracks pieces are substantially marred by bubbles, ruining almost all of the track guide teeth. Might as well just replace them all with little nubs of styrene.